This model is 5' 10" and wears a size 32". Their chest measures 41" and the waist 29". These men's training shorts are made of lightweight woven fabric with a water-repellent coating so they won't get soaked no matter how much you sweat on that AMRAP. 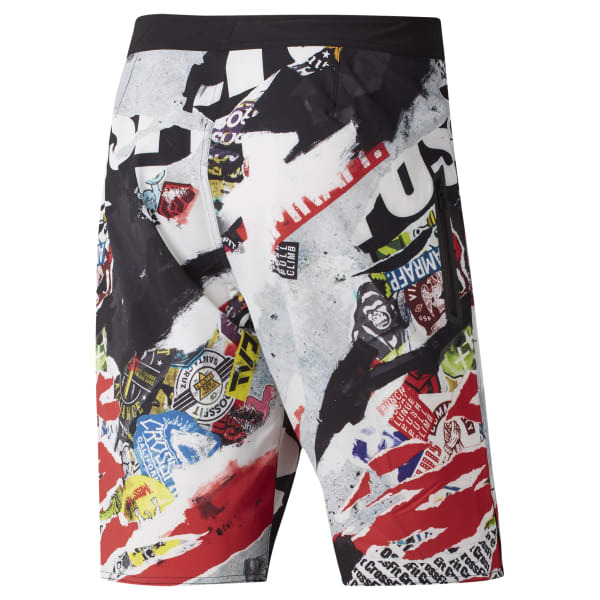 They feature an allover sticker print that's an updated version of a CrossFit classic.